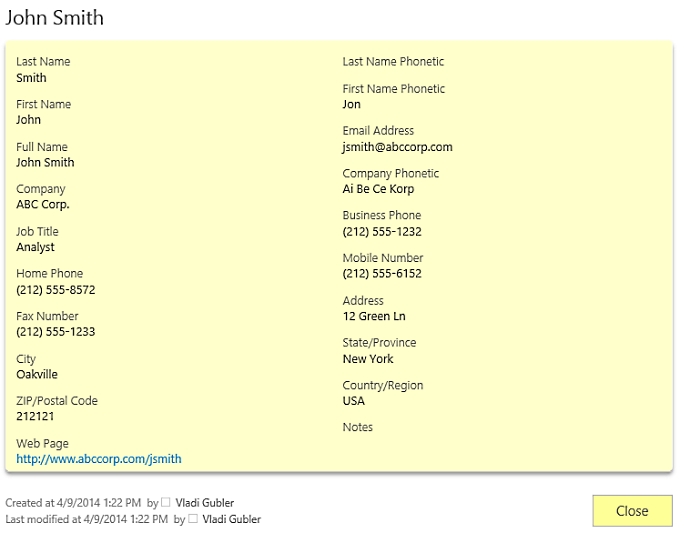 We've just released a new version of Smart List Pro (a component of Ultimate Forms). 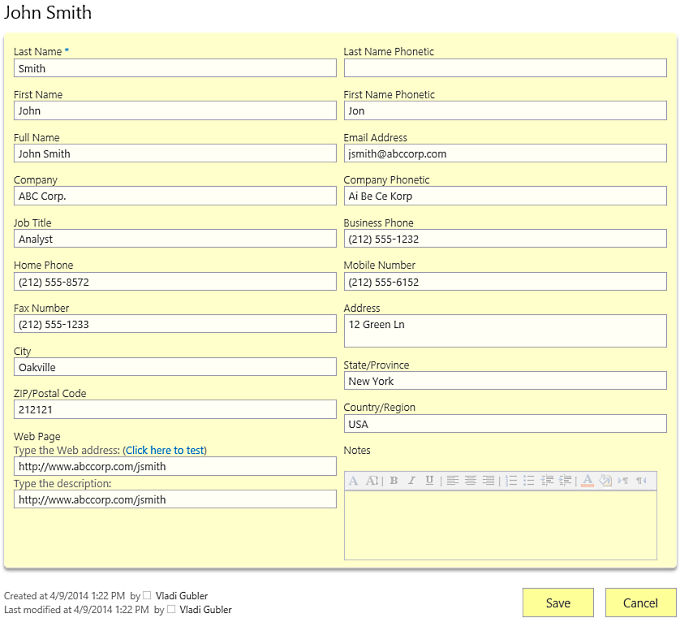 It now supports applying your own custom look & feel to every list, so you can effortlessly create great looking forms. 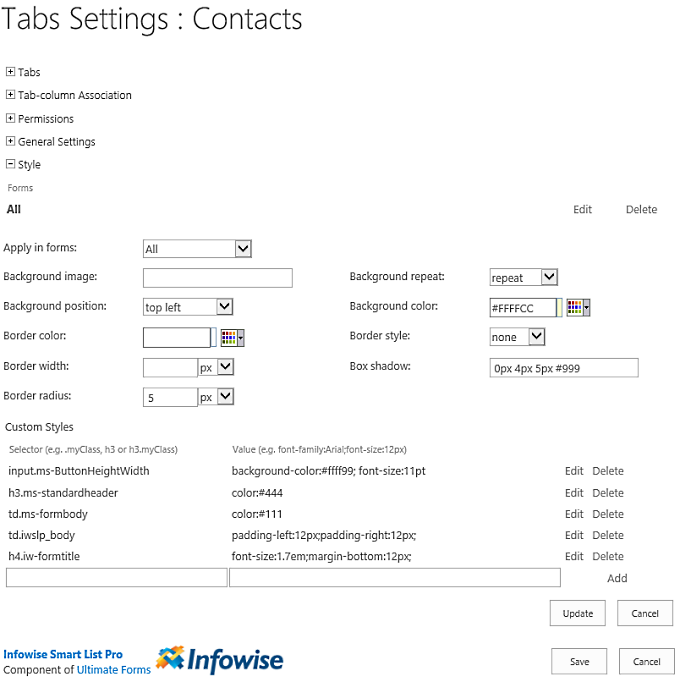 Some technologies, such as InfoPath, SharePoint Designer or 3rd party solutions implement this by replacing the whole form with a custom form, breaking certain functionality and creating that "out-of-place" feeling. Smart List Pro does not do that, it actually applies layout changes and stylings directly to the original form, no changes required. 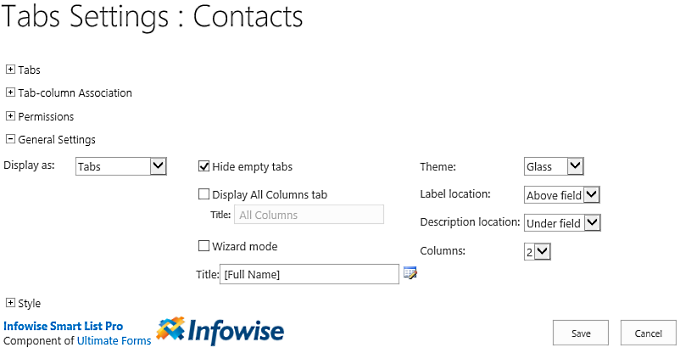 Under Title I put in [Full Name], it will show this nice looking title above the form itself with the full name of the contact. You don't have to put it there or you can use any other value, the value picker is right there to help you. 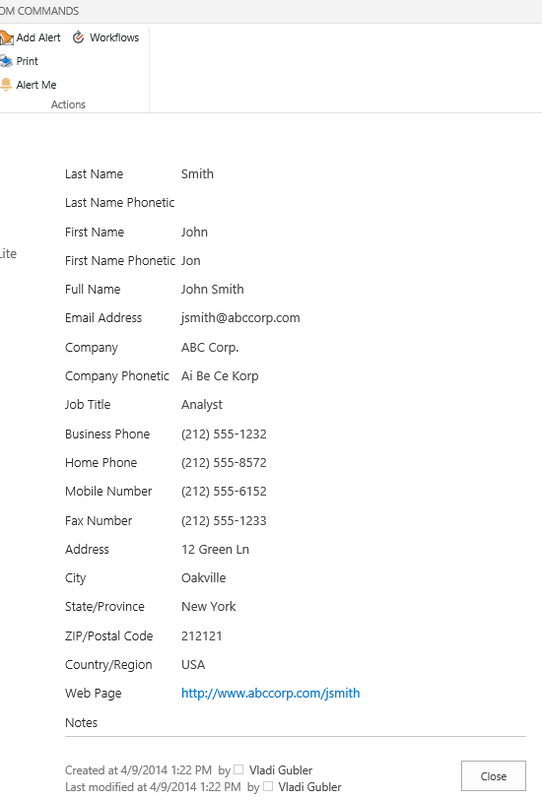 Label location: Above field - will place column names above the column values, intsead of being beside them. And I also selected to render the form in a 2 side-by-side columns. Box shadow: I added a drop shadow to the form (again, IE users in earlier versions are out of luck). I then added some direct CSS overrides to fine-tune my form. I changed the look of the submit buttons, changed the colors of field names and values, added some padding and enlarged the form title (remember that?) font. Add the style (I added one for all forms, but you can actually enter a separate one for each). Save. You are done. And it looks great in the Edit form too!